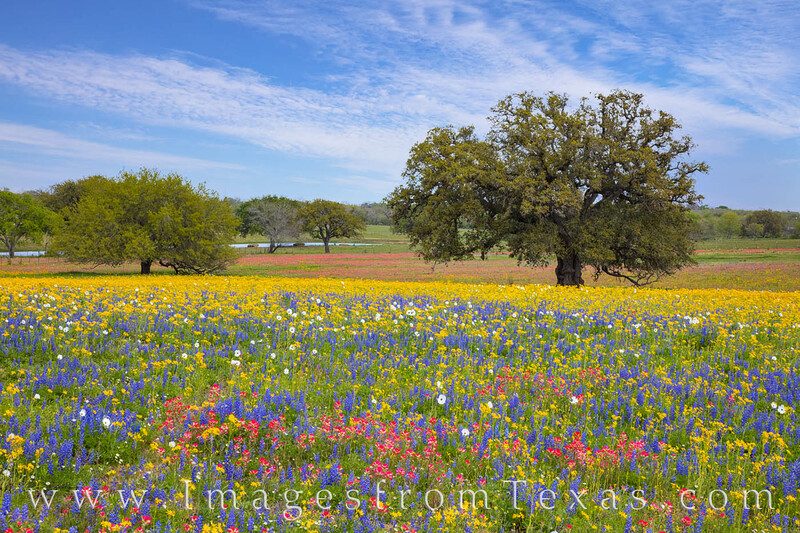 The wildflowers south of San Antonio around Poteet in Atascosa County created a colorful palette in the fields this spring. Bluebonnets, Indian Paintbrush, White Prickly Poppies, and other varieties seemed to be blooming at every corner. This wildflower photo is from the late afternoon in mid-March. The bllue sky with a few high clouds was just about the perfect complement to the colorful explosion of blooms going on in the field. Photo © copyright by Rob Greebon.